METAL PULP AND PAPER: Hola Miriam. So glad to be catching up with you. Thank you for taking the time to answer some questions for Metal Pulp And Paper. We appreciate it. With the year 2017 coming to a close, how has it been for your band Vulture so far, especially since you have new music out, which we will talk more about here shortly? MIRIAM MALDONADO: It has been a good year for the band, we worked so hard on this album that give us satisfactions. 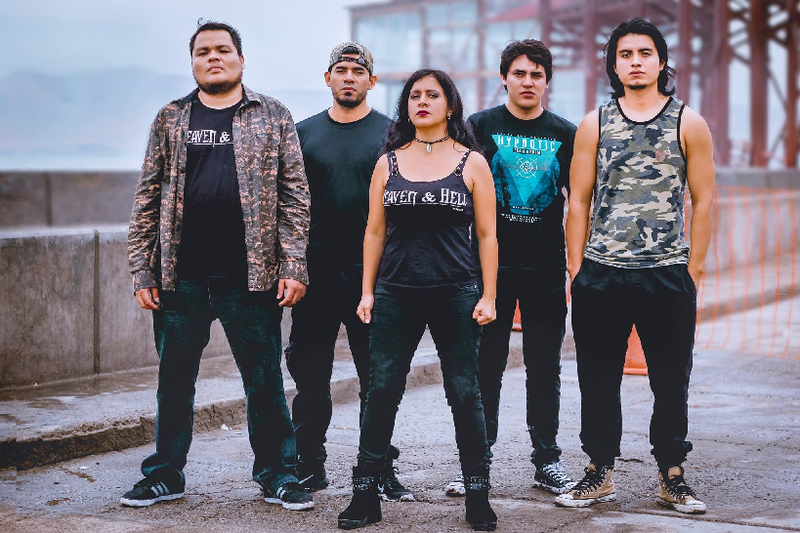 MPAP: Just so everyone is on the same page that might not have heard of you just yet, Vulture is a Metalcore/Thrash metal band from Lima, Peru correct? MIRIAM: Yes, the sound of the band changed relatively since our first production. We started playing old school thrash metal, but we have been experimenting new musical genres related to metal and that is why the last album is identified with Metalcore and Thrash metal. MPAP: While doing some research, the Encyclopaedia Metallum: The Metal Archives listed a total of ten Vulture bands out there including yours. Some of the bands are from the United States, Indonesia, Finland, Germany, and Bulgaria. With no disrespect to any of those bands, how would you say your Vulture band stands out from the others, even if you haven’t heard of their music before? MIRIAM: We know about the other bands that have that name, but I think every band has their own sound and style and our case no metal band with the name Vulture has a female vocalist. MPAP: You sing vocals, but what about the rest of your partners in crime? Please introduce the rest of the band for us if you could? MIRIAM: Our members are: Aquiles Solar Empire: guitarist and musical producer of the band, Jenner Acosta: bassist and art producer, Ricardo Perez: guitarist, Sebastiani Alvarado: drummer. MPAP: Now let’s talk about your new release Transición that pummeled everyone’s eardrums on August 19th, 2017 that’s out on the Metal Media X Productions label. It has received some great reviews. Tell us a little bit about it? What can everyone expect when they listen to it for the first time? MIRIAM: The development of our identity as a band without losing our essence that mixes. 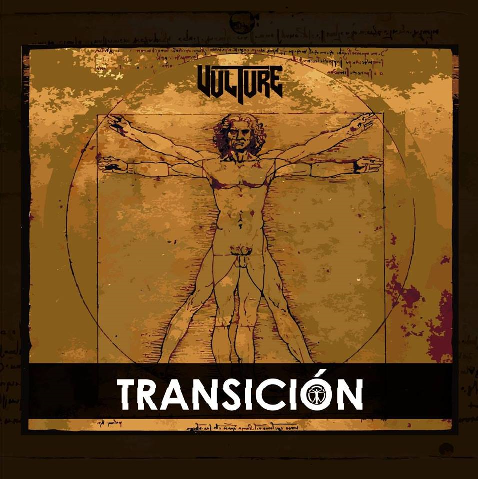 The sound with which we started and the new influenced we have, makes the albumTransición an improved version of Vulture. MPAP: What are some of your favorite songs on it? And what are they about? MIRIAM: My favorite song on the album is "Vulnerable" because it relates a bad moment in life, which manages to overcome it. The lyrics of the song is a reflection that makes me think that I should not make the same mistakes of the past, and "Renacer" because it relates the birth of a new life, in this case for me the arrival in this world of my son, but I must tell you that all the songs contain very good lyrics hehehe. MPAP: How would you say you’ve grown as a singer and as a band since your 2012 Inexistente demo and the 2014 Catalepsia EP? MIRIAM: The band has grown musically since the first album, I feel that the songs have been increasing their level of demand which has made my vocal technique gradually improve with each production, I think my gutturals sound cleaner and with better vocalization on this album. We also added clean voices which was a great challenge in this work. MPAP: What is the metal scene like in Lima, Peru? Is the metal music genre welcomed with open arms there? MIRIAM: The scene here in Peru is growing, I think there are good bands, concerts, organizations that are giving their best to put our country on the metal map, on the other hand metal is not very well received by radio or television, there are few programs that promote this genre. We hope that this changes over time. MPAP: Are the radio stations there able to play any of your music? How does your band get heard by others? MIRIAM: There are few radio stations that reproduce the music of the genre that we do, to which we are very grateful for the support they give to all the metal bands. The radios that lead Syntony in our country are invaded by Reggaetón, Cumbia or other styles of the moment, but I think the power of social networks is helping us a lot with the distribution of our music all over the world. MPAP: If the radio stations don’t play metal music, how do you find out about new bands? Do you have to go to a record store nearby, or do you just find everything on the internet? MIRIAM: The biggest percentage is the search on the internet, the bands promote their albums, singles, demos, etc. by social networks, after that they go to the stores to buy merchandise from the band. The concerts are also very helpful, since there is someone who will listen to you for the first time, if you like music, they will buy your album. MPAP: Which American metal band is popular there? MIRIAM: I think Metallica, Exodus, and Slayer are popular among the metal public in Peru. MPAP: Who influenced you musically while growing up? What was it that inspired you to want to be a singer? MIRIAM: Good question. The first time I listened to the band Otep I thought that the voices were of a man, then I got the surprise that a woman was the vocalist. From that moment I wanted to sing like her. In terms of main influences, I have as references to Sabina Classen (Holy Moses), Angela Gossow (Arch Enemy), Otep Shamaya (Otep). MPAP: If you could call up any band right now on the phone, which one would you have come to Lima and play a live metal show that you are dying to see? MIRIAM: Definitely Otep, because it was the band and their vocalist that inspired me to dedicate myself to this. MPAP: Are there any bands in your hometown that you’d like to give a shout out to that you are good friends with? MIRIAM: Here in Peru we have good bands, such as: Ni voz Ni voto, Serial Asesino, Epilepsia, Cobra, Necropsya, etc. MPAP: So, what’s next for Vulture? Is there anything you can reveal here first? MIRIAM: Of course, we are about to release some singles for 2018. We have already recorded some just have to wait hehehe. Also planned a tour promoting the new album, and it´s possible we are recording a new album. MPAP: On behalf of myself and Metal Pulp And Paper, I’d like to thank you, Miriam, for being a part of this interview. We look forward to what Vulture does in 2018 and beyond. MIRIAM: Thanks to you for granting us the space to promote our material, we are happy that our work is reaching more places in the world, so we will continue working hard. MPAP: Any last words for the readers and all your fans worldwide out there before we bring this to a close? 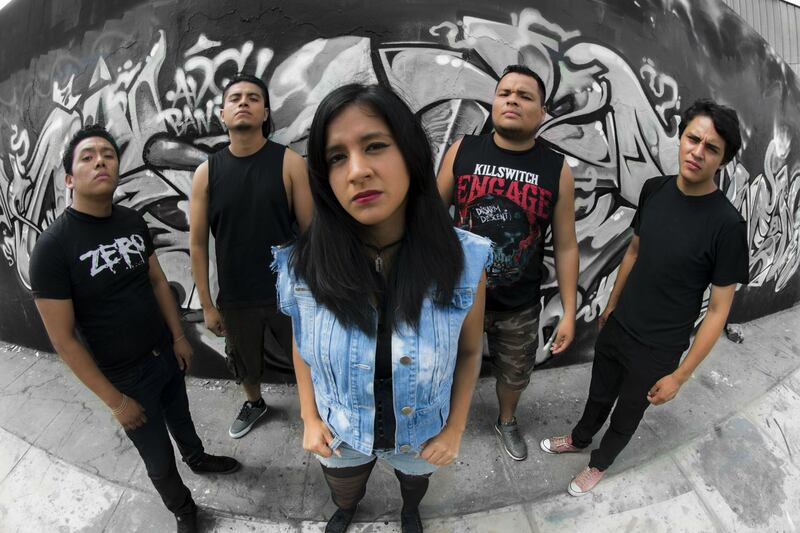 MIRIAM: Infinite gratitude to our fans who always follow us, here in Peru and in the different places of the world, thanks to them we are still on the warpath, keep spreading our music.